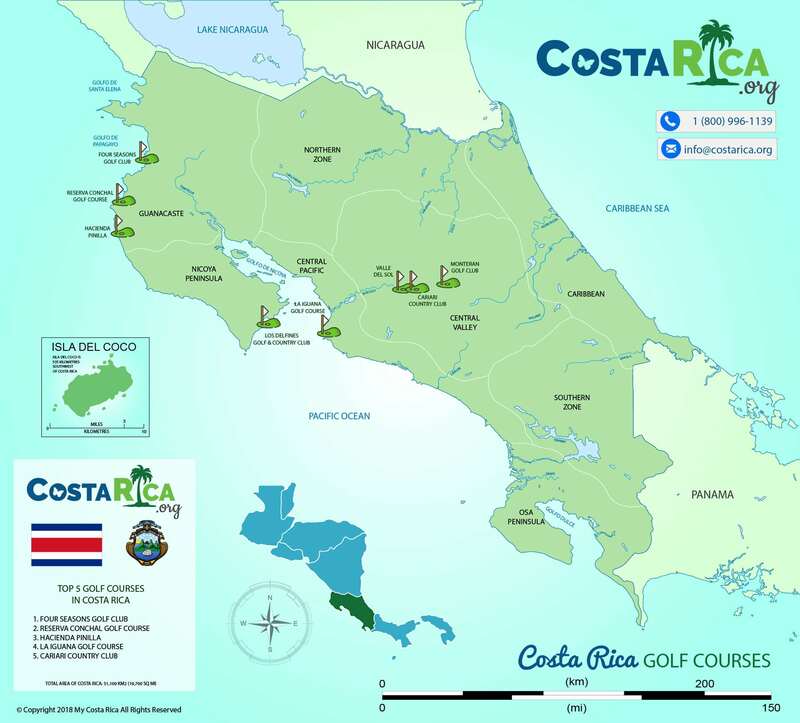 Golf in Costa Rica has become prominent, with courses designed by people like Robert Trent Jones II, Ted Robinson, George Fazio and the Great Arnold Palmer that placed it amongst the top countries in the world. Imagine playing while being surrounded by the rain forest, or in the middle of a coffee plantation. Imagine the excellent scenic views overlooking the Pacific Ocean. Also right by some of the most incredible Beaches, or by the slopes of a majestic volcano! This is what playing Golf in Costa Rica is all about. Book a Tee Time with us! Do you see yourself playing Golf in a splendid setting one sunny morning? This followed by white water rafting in the afternoon. And then a swim in the Pacific Ocean under a gorgeous sunset in the evening. Costa Rica is home to some of the most beautiful beaches and has held many professional surfing competitions. It has some of the most amazing National Parks with an incredible array of flora and fauna. These including monkeys, Jaguars, Ocelots, peccaries, giant Anteaters. Also, reptiles, amphibians and about 600 species of birds. Costa Rica is a dazzling country, and you are lucky to be here. Whether you are into Birding, Sports Fishing or just want to play Golf, you have found your paradise. The Valle del Sol is a beautiful 18 holes Par 72 championship golf course. The Central Valley of Costa Rica is surrounded by lovely gardens. In fact, the 6,750-yard course has gorgeous views of the Irazu, Barva and Poas Volcanos as well as of San Jose’s majestic mountain ranges. The Doubletree Cariari Hotel and Country Club is only 5 minutes from the Juan Santamaria International Airport and 10 minutes from Costa Rica’s capital. This 18-hole, par 71 course is built on a former coffee plantation and hosts many local and international tournaments. Visit the on-site pro shop and play 18 holes with a beautiful of the Central Valley mountains. Designed by Ted Robinson Jr, this outstanding 6,707 yard, Par 72 course is nestled into the Pacific tropical rainforest. Playing at Los Sueños is both rewarding and exceedingly enjoyable, with the scenic settings, glorious sunsets, and fascinating wildlife. Playa Conchal is one of the most beautiful Beaches of Costa Rica, and the magnificent 7030-yard Reserva Concha Golf Club, designed by world-renowned Golf Course architect Robert Trent Jones II, offers natural settings of unreal beauty and top-notch golf. The beautiful beach with flamboyant sunsets of Hacienda Pinilla spreads over 4.500 acres in Guanacaste. Moreover, the resort is reminiscent of its cowboy culture with a unique ranch like ambiance that is rustic yet elegant. Los Delfines Golf and Country Club is a beautiful little course nestled on the southern seaboard of the Nicoya Peninsula of Costa Rica and features a panoramic view of Bahia Ballena, (Whale Bay). 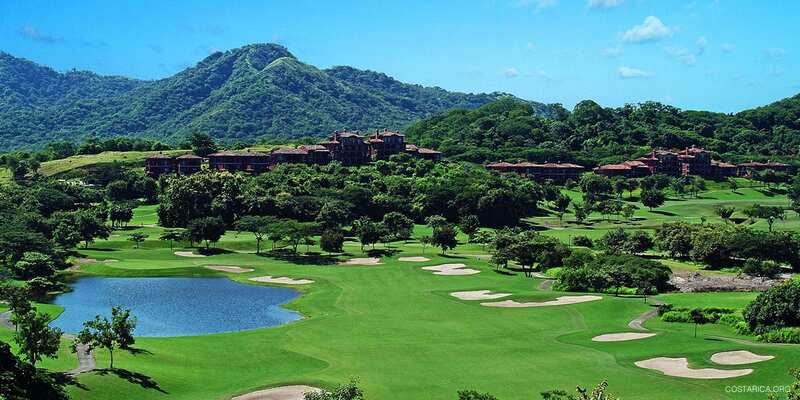 The Four Seasons Golf Club at Peninsula Papagayo is an 18-hole, par-72 championship course that golfers of all abilities will enjoy. Surrounded by a picture perfect countryside Monteran’s beautiful executive private golf course is one of the most exclusive golf properties in Costa Rica.